Wondering how to link Facebook and Instagram accounts? There’s a reason why Instagram is one of the world’s most popular social media sites. People love visual content. 71% of marketers use visual assets in their marketing campaigns because they know it’s the best way to generate engagement on social media. So, what if you could take all of the attractive parts of your visual Instagram content and spread it across your other social channels? You wouldn’t necessarily want to promote the same content everywhere, but certainly on the profiles where you can benefit from a vast brand reach. For instance, 68% of all Americans are active on Facebook today. In a world where everyone is competing for more followers, more engagement, and better social media results, it only makes sense to combine your Instagram and Facebook efforts, but how do you get started, and what benefits can you expect to see? Why Learn How to Link Facebook and Instagram? Let’s start by asking an obvious question: Why would you learn how to link Facebook and Instagram? Why not Instagram and Pinterest, or Instagram and Twitter? The simple answer is that Instagram and Facebook go together like peanut butter and jelly sandwiches. Ever since Facebook purchased Instagram for a total of $1 billion in cash and stock back in 2012, they’ve been the perfect pair. Unlike other social media channels, Instagram and Facebook are designed to work well together. The integrated apps mean that you can share images directly from your Instagram feed onto Facebook, without any annoying uploads and downloads to worry about. What’s more, when you connect your Insta and Facebook accounts, the engagement you get on both platforms adds up to more followers for your brand. If someone likes your Instagram post on Facebook, the algorithm will still count that “like” towards your ranking potential for Instagram. This means that you could potentially turbo-charge your Instagram follower and engagement count within a matter of days if you already have an active audience on Facebook. You can even use ads on Facebook to send targeted traffic back to your Instagram account. It’s a match made in heaven! Of course, you probably need more than just us telling you that linking your accounts is “logical” to go ahead and transform your whole social media strategy. So, how about we prove the value of connected profiles with a few case studies instead? Head over to the Facebook business website, and you’ll discover countless whitepapers and results from big-name brands who learned how to link Facebook and Instagram. As Facebook tells us, the combined advertising potential of both your Instagram account and your Facebook profile allows companies to efficiently manage and run ad campaigns for two crucial platforms at once. Think of it as two social strategies for the price of one! Facebook gives you access to tools like Power Editor and Ads Manager from your Instagram profile, all you need to do is click on the box that says “Instagram” under the ad placement section, and you can spread your campaigns across double the social space. Well-known brand MVMT Watches accomplished a phenomenal 20% lower cost for each conversion that they attracted to their business, thanks to a combination of ads run across both Facebook and Instagram. Facebook also showcases another case study from a Brazilian Lifestyle company called Kanui. 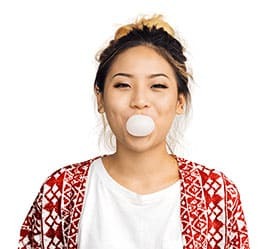 The business saw a phenomenal 2.8 times higher return on investment for their ad spend when they began combining their campaigns for their new smartphone app across Facebook and Instagram. Convinced that it’s time to figure out how to link Facebook and Instagram for your brand? The good news is that it’s incredibly easy to do. If you managed to set up your Instagram account by yourself, you shouldn’t have problems with this either. The process is the same whether you’re using an Apple or Android device – but it can only be done via smartphone. In other words, you’re not going to be able to link things on your desktop, even if you can go and check your campaign progress there later. First, go to the Options page on the top right-hand of your profile (three lines), and click on Settings, at the bottom of your screen. You’ll see something that says Linked Accounts. Click on that. Here, you’ll find your list of tools and apps that provide Instagram integration options. Choose Facebook, and you’ll be prompted to sign in using your Facebook credentials. We recommend using both your Instagram business account and your Facebook business account for this process, so you don’t get confused with posts. Once you sign in, you’ll be asked to confirm that you want to connect the two accounts, and all you need to do is click Okay. Voila! You’re ready to go! 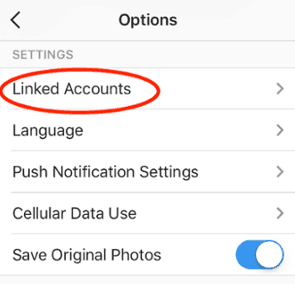 Bonus Tip: As a quick bonus, if you ever decide that you want to stop linking Facebook with Instagram – perhaps so you can focus on both channels separately, you can simply head back to your app permissions to do so. Go into your Linked Accounts page again and click on the Facebook option. The next page will have an opportunity to Unlink Account. Click on that to break your profiles up again. One great thing you’ll discover when you learn how to link your Facebook and Instagram accounts is that you don’t have to do much work afterwards to keep things running smoothly on both profiles. Every time you want to share a photo from your Instagram account on Facebook, you simply enable the Facebook button on the caption screen. If you need to go back through your archive and share some pictures from a few months ago, tap the three dots in the top right of the screen on the photo you want to share. Click on Share in the subsequent pop-up and toggle the slider on for Facebook then hit share again. There you go! That’s the easy part done – now all you need to do is figure out how to make the most out of your cross-promotional campaigns. Fortunately, we’ve got a few tips to help with that too! I know – I can scarcely believe I’d suggest such a thing either. On Instagram, hashtags are an incredible way to boost engagement and improve the searchability of your content. On Facebook, however – they mean diddly-squat. 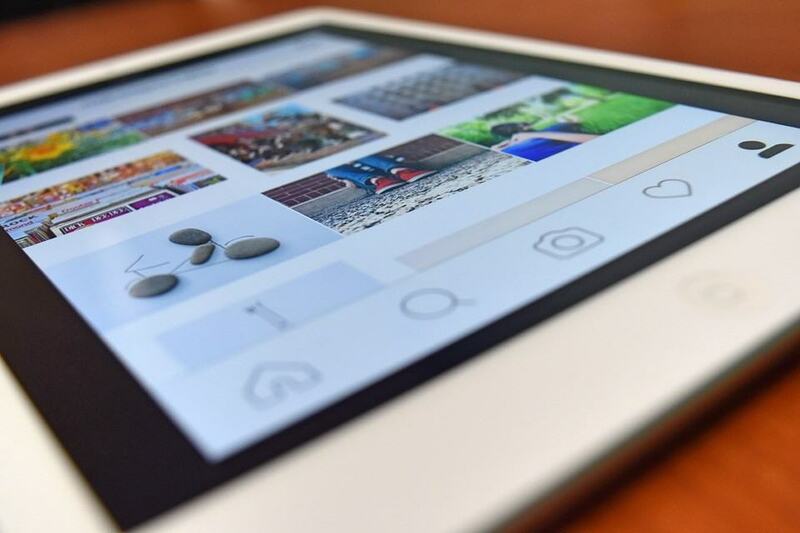 If you’re planning on sharing your content to both Instagram and Facebook, make sure that you’re delighting your audience on each channel. Start by adjusting your caption content. You can use all the hashtags you want in your Instagram post, then create a more tailored message for your Facebook audience. Alternatively, you can just post to both channels without hashtags, then post a comment on your Instagram photos with all the tags you want to use. Here’s another thing that can cross some wires between your Facebook and Instagram campaigns -@Mentions. 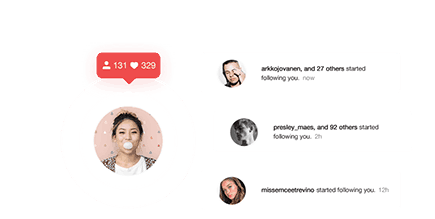 On Instagram, your mentions drive engagement and get people’s attention. But the @ symbol won’t work like it should on a Facebook post. Although this might not seem like it matters much at first, it can end up frustrating your audience if they try to click on the @ to find someone. An alternative option is to simply tag the appropriate person in the photo on Facebook instead. Once again, you can put the @mention in the comments of your post if you want to. Finally, just because you’ve learned how to link Facebook and Instagram doesn’t mean that you should forget everything that you know about social media marketing. You can’t just post endless photos to both profiles and expect to see amazing results. Facebook and Instagram are two very different channels, and there’s a good chance that you have different audiences on each of them. With that in mind, it’s a good idea to think carefully about how you can time your posts. Schedule to capture as many potential customers on Facebook and Instagram as possible. Check out your Instagram Insights page or Facebook Analytics account for insights into when most of your followers are online. Imagine your Instagram followers are online between 1 pm and 5 pm, and your Facebook followers are online between 9 am and 3 pm. It makes sense to post between 1 pm and 3 pm when you’re cross-promoting. A good strategy will help you to make more out of your campaigns, without flooding your audience with excessive content. Remember to keep track of your analytics too, as follower behavior can easily change over time. Linking your Instagram and Facebook accounts is a great way to improve your brand reach and increase your follower count. However, remember that you won’t be able to rely on this tactic alone to accomplish all of your Insta goals. Building a valuable following on Instagram requires careful attention to detail, creativity, and plenty of strategy. Don’t have time to handle all that yourself? Let Upleap do the hard work for you. Click here to start your free trial and discover the easy method for Instagram growth.